The DCD module provides a direct bank to customer channel for a bank's customers to obtain competitive FX quotes. The system has a well designed margin set up feature including skewing and widening options. Using this facility, Treasury can pre define margins for different customers based on different set parameters. "Request for Quotes" (RFQ), with Auto Quoting and dealer intervention is fully supported with chat facility to directly connect to clients. 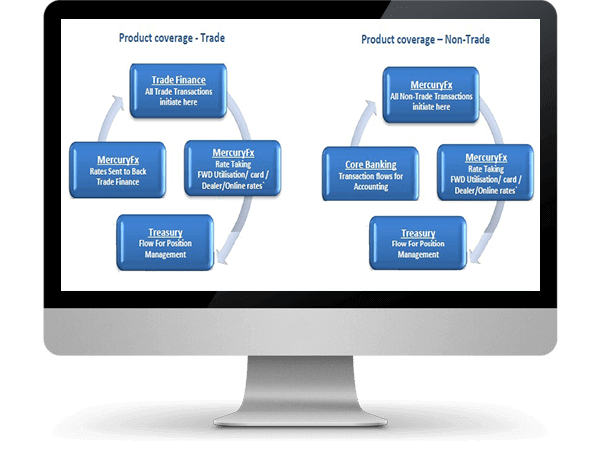 Mercury Fx has a powerful pricing engine that centrally calculates prices for forex products offered by Banks to customers. It accepts underlying market prices from providers of indicative market rates. 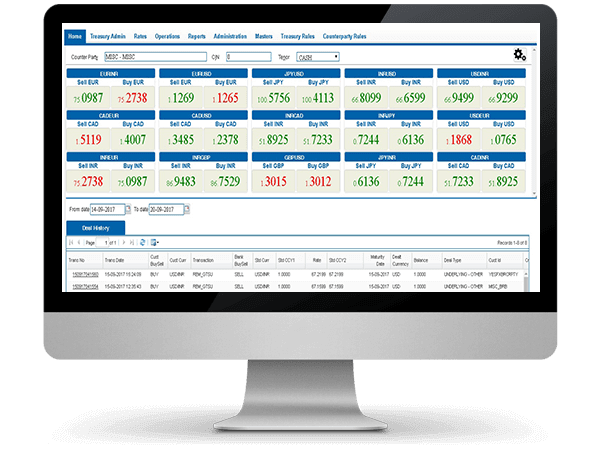 Dealers can add spreads and make adjustments to the rates based on factors like currency pairs, transaction tenors and sizes, customer types etc.The system monitors exchange rate risk via price bands to limit highly volatile rate fluctuations. Other limits for retail customers based on product type and purpose code and umbrella limits across both can also be monitored. This module facilitates increasing wallet share in retail forex business with efficient forex delivery to customers. 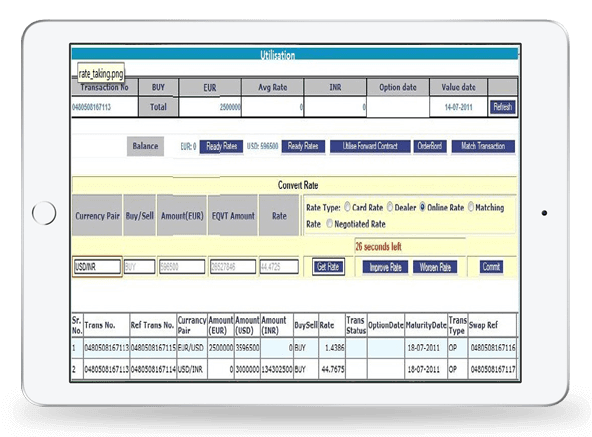 The module supports operations in Currency Notes, Stored Value Cards, Outward TT, Travellers Cheques and Demand Drafts. 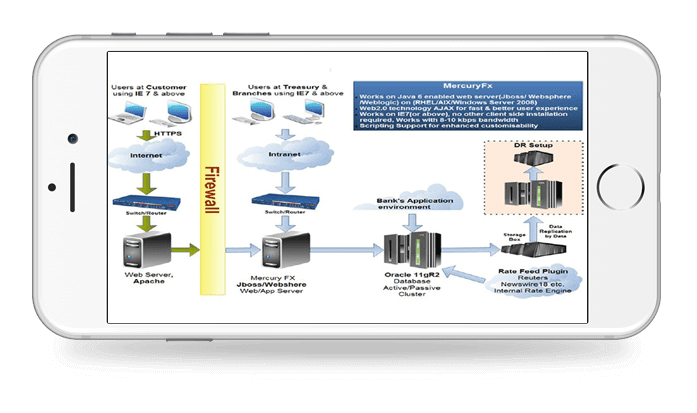 Right from inventory setup to transactions, billing, SWIFT message generation, limit monitoring to reporting, the entire workflow is managed within the system. MIS reports can be generated to measure turnover of branches / customers which facilitates decisions on tweaking the margins for best performering branches / customers. 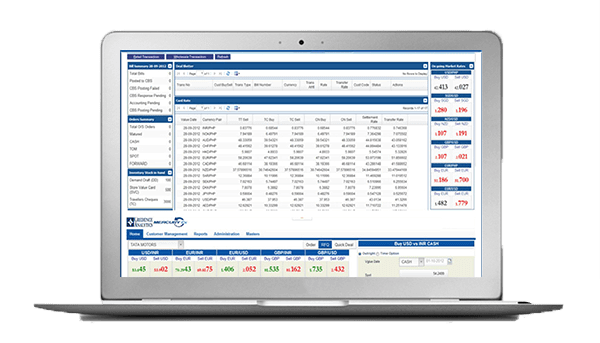 Mercury is designed to handle large transaction volumes from multiple branches on a real time basis for rate-taking and updating of position and gaps. Benchmarking exercise to assess the capacity of the system has been done at IBM Innovation center.